U.S. President Donald Trump will deliver his first State of the Union Address to Congress at 9 p.m. Eastern Time on Tuesday, January 30, 2018. 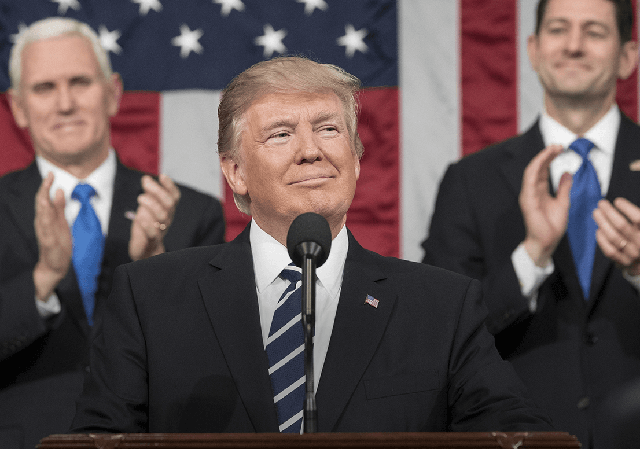 The White House released excerpts of President Donald Trump's 2018 State of the Union Address just hours before Trump is scheduled to speak. Viewers can watch the State of the Union address live online via YouTube below.